NOTE ABOUT ESSENTIAL OILS USED: Suntegrity scented sunscreens use folded essential oils which means the terpenes that cause phototoxicity have been removed and they are used in a very low dilution (less than 1/2 a percent for scent purposes only) together with 20% zinc oxide as a sunscreen. Suntegrity has performed RIPT (Repeat Insult Patch Test) testing through an outside lab (BioScreen) using a 50 person panel showing no contact irritation or sensitization to their sunscreens. 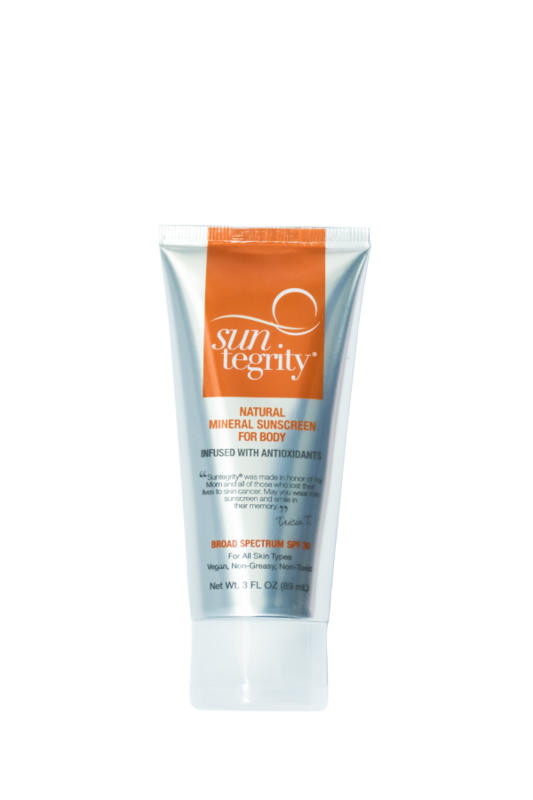 This test allows Suntegrity to make the claim: Non-Irritating, Allergy Tested and Clinically Tested.